Welcome to beautiful 2635 Embleton. Truly a turn key home. Just back up the truck, unload, unpack & start enjoying your new home! As you arrive, you'll notice the gorgeous landscaping, brick & vinyl exterior w/enclosed soffits & fascia, attached garage & 6 year old roof. Even an an added parking slab on the side of the garage to place your goodies. Once inside, there's fresh paint, hardwood floors & new kitchen floor inside. Ceiling fans & overhead lights abound. Add to that the updated vinyl windows & 6 panel doors. Downstairs you find the freshly painted lower level w/brand new flooring. Get the point? Everything has been done for you. Adult height vanity in the updated bath & clean as can be. There's more out back! Large patio, huge flat fenced lot & matching utility shed complete this outstanding home that's ideal for either downsizers or as a 1st home. 1 year warranty included for your peace of mind. 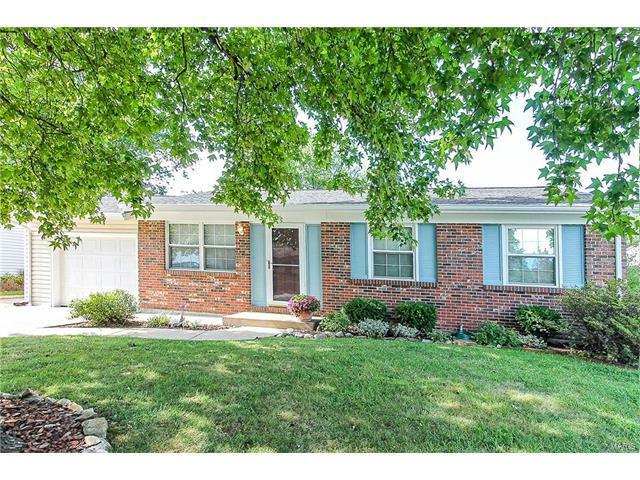 Great location close, but not too close to Hwy 70 & all that St. Charles offers. Zumbehl to Ipswich at stop sign. Ipswich to right on Embleton to house on the left.